Hitsugaya is generally mature and serious, in contrast to his free-spirited lieutenant, Rangiku Matsumoto. Despite their personality differences, he and Rangiku seem very close. 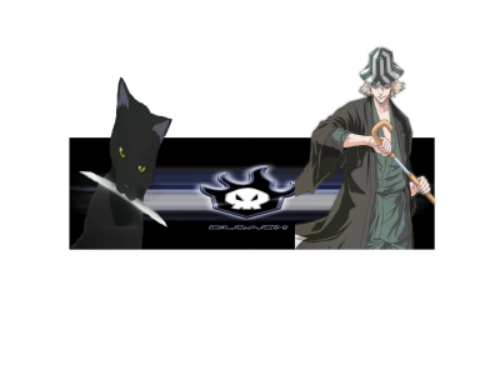 Tōshirō is shown to be easily annoyed by others goofing off or drawing unneeded attention to themselves, as shown when he leads a team of Shinigami into Ichigo Kurosaki's school. Hitsugaya hates anything that he deems childish as well as being described as something close to a child, such as an elementary school child, a further contrast to his appearance. This is shown more in the omake chapters of Bleach, such as the short comics in VJump and the sand castle contest chapter released along with Chapter 238. He is also mistaken for a kid in several of the omake chapters, much to his annoyance. During the ending credits of the Sealed Sword Frenzy, he is in the human world and dressed in a young boy's school uniform, and Hinamori has to pull him out of hiding. He is overly protective of Momo Hinamori, due to the fact that they were old childhood friends. Hitsugaya dislikes summer and warm weather in general. It is also known that Tōshirō's favorite foods are watermelon and amanattō. He does not like dried persimmons, a difference between him and his lieutenant. Back in his childhood in West Rukongai, he was so skilled with spinning tops that he became the local undefeated champion. He works very hard, but his motive seems to be that if he finishes quickly, he can return to his afternoon nap. He believes in the saying "children who sleep well, grow well," and hopes to grow quickly, a wish shared by his subordinates. Naturally, they do not voice this fact in front of him, for even regularly practicing this adage for so long, he didn't really grow in height. Hitsugaya is usually joked about by many of the other Shinigami in Soul Society as well as by his enemies. Despite these jokes, or perhaps because of them, Hitsugaya has developed a cold attitude toward most people; he tolerates these jokes and goes on with his duties. Although he has shown anger towards jokes, he doesn't take action against whomever insulted him unless they are his enemies, but has never overreacted because of them. The only thing he can't tolerate is not being addressed as "Captain Hitsugaya," or an inappropriate use of his name, as he worked very hard for the title so he gets angry when not addressed as such. Coincidentally, though, he does not address any other officer with their title, only their last names. The only people that actually call him by his given name are Ichigo, who is constantly reminded to address him properly, and Hinamori, who is the only person allowed to get away with it. Hinamori tends to call him "Hitsugaya-kun" and both she and Ukitake occasionally use "Shirō-chan" (シロちゃん) — a nickname meaning "Whitey" (Snowy in the English manga) in reference to his hair — in both cases without any repercussion. In addition, Karin and her friends call him by his first name and they are never given any rebukes for it. In the Shinigami Golden Cup sketches (omakes found at the end of episodes of Bleach), Jūshirō Ukitake comically gives Hitsugaya candy and other food because "Jūshirō" and "Tōshirō" sound similar and because they both have white hair, making them both "Shirō-chan." When sealed, Hyōrinmaru looks like a normal katana with the exception of the guard, which is in the shape of a four-pointed bronze-colored star. Its hilt is light blue and sheath dark blue. The sheath completely dissolves when he draws his sword. The sword is somewhat longer than most Zanpakutō, at about 1.4 meters long, making it taller than Hitsugaya, preventing him from wearing it at the hip. Instead he carries it on his back by his green sash over his right shoulder. Hitsugaya is one of four people that carry a Zanpakutō on their back, the others being Ichigo Kurosaki, Love Aikawa, and Hiyori Sarugaki. Tōshirō Hitsugaya is short, has turquoise eyes and short, spiked, white hair, which tends to draw attention in the Human world. He wears a standard sleeveless captain's haori with a green sash around his shoulders, held together by a round clip. The sash holds his Zanpakutō's sheath in place on his back and is tied to it at either end. He sometimes walks around in his tabi. He is relatively young by Shinigami standards and has the appearance of a child. In the Human world, he wears a black, short-sleeved, golf shirt and gray pants. He also wore the uniform of Karakura High School. Hyōrinmaru's release command is "Sit Upon the Frozen Heavens" (霜天に坐せ, sōten ni zase; Viz "Reign over the Frosted Heavens"). In its Shikai, Hyōrinmaru extends slightly in length, and gains a crescent-shaped blade attached to its hilt by a long metal chain, which can extend greatly if necessary by force of will. The chain itself can be used as an attack or to entangle a target. Daiguren Hyōrinmaru (大紅蓮 氷輪丸, "Grand Crimson Lotus Ice Ring"; Viz "Great Roaring Coldly Shining Moon"): causes ice to flow from Hyōrinmaru onto Hitsugaya, starting at his right arm which ice forms onto in the shape of a dragon's head around his sword hand, encasing the sword up to the hilt; which also changes from the shape of a four-pointed star to that of eight-pointed star. The ice continues forming up over his shoulders with two large wings sprouting from his back and a long tail. The ice forms down his left arm encasing his hand which ends in a claw. Hitsugaya's feet are encased in ice in a similar manner to his left hand which as they to end in claws. These new ice limbs are movable and can be used as an extension of himself to aid in battle. During some appearances of his Bankai, three flowers of ice form floating behind him, each consisting of four purple petals shaped like diamonds. These petals melt away petal by petal as Hitsugaya's battle progresses, leading Shawlong Kūfang to speculate that Hitsugaya's Bankai will fade when all twelve petals disappear, assuming that the captain's Bankai was incomplete due to his young age. During his fight with Luppi, these petals were noticeably absent; however, during his fight with Tia Harribel, they were present once more and they also appeared once again with his fight with Aizen. Bankai Regeneration: During his battle with Luppi Antenor, Hitsugaya's Bankai was damaged. However, it regenerated, and Hitsugaya stated that as long as there is water in the air his Bankai can be revived indefinitely. Ice Clone: Upon activating his Bankai, Tōshirō is able to create and shape a large amount of ice into his exact likeness. It is very life-like as it can appear to bleed. He stated that he can only trick an opponent once with it, so he usually saves for towards the end of a battle. Shield of Ice Wings: Hitsugaya is capable of wrapping his wings around himself like a sphere protecting him from any attacks. Ryūsenka (竜霰花, Dragon Hail Flower): When Hitsugaya stabs his opponents, a huge burst of ice erupts from the point of contact between Hyōrinmaru and the opponents, encasing and freezing them. Hitsugaya can then proceed to shatter the ice and his opponent with it. Sennen Hyōrō (千年氷牢, Thousand Years' Ice Prison): Hitsugaya creates many ice pillars which encircle him and his enemy. At his command (when he turns his sword 90 degrees counter-clockwise), these pillars then move towards the enemy, enveloping and crushing it. Though this technique is very powerful, Hitsugaya infers that it takes a considerable amount of time to prepare, and therefore the distraction of his enemy is crucial in successfully completing this attack. Hyōten Hyakkasō (氷天百華葬, Frozen Heaven Hundred Flower Funeral): This ability is an extension of Hyorinmaru's Tensō Jūrin power. However, because Hitsugaya dislikes using Tensō Jūrin while his Bankai is active, he rarely uses it. The ability opens up a huge hole in the clouds through which a large amount of snow falls down on to his opponent. As the snow comes into contact with the opponent, ice flowers sprout all over their body, instantly trapping them in a pillar of ice. Hitsugaya claimed that when the last of the 100 petals falls, the life of the one who touched it will be over. Guncho Tsurara (群鳥氷柱, Icicle Flock): Hitsugaya can transform water into ice and then swing his Zanpakutō in an arc which fires an array of ice daggers at his target. Hyōryū Senbi (氷竜旋尾, Ice Dragon Swirling Tail): With this technique, Hitsugaya swings his sword in a linear direction and creates overflowing ice from his blade in the form of a crescent. Zekku (絶空, Void Sever): This ability allows Hitsugaya to control his Hyouryū Senbi technique and send it up into the air. Hitsugaya comes from the province of Junrinan in the 1st District of West Rukongai. There, he lived with his grandmother and Momo Hinamori. As a young child, Hitsugaya was a bit of a brat who likes to eat watermelons and poke fun at Hinamori. She calls him "Shiro-chan" (Little Shiro in the English dub) and he retorts by calling her "Bed-wetter Momo." The two are close friends and Hitsugaya, despite being younger and much shorter than his friend, always feels that he needs to protect her. Even at a young untrained age, Hitsugaya could hear the calling of his Zanpakutō spirit, Hyōrinmaru. Despite this he never told anyone and couldn't accurately determine what was happening other than to assume it was an ever recurring dream. When Hinamori left to become a Shinigami, he portrayed himself as happy to see her go, though it was more of an act than his true feelings. Her next door friends were scared of him, even though he had never done anything to them. His grandmother, "Granny", and Hinamori were the only ones in the district that weren't afraid of him. His personality was supposedly "cold as ice" or at least thought to be, and he often wondered if it was due to his appearance or attitude. When Momo had been in the Shinigami Academy for 5 years, he began to notice how he hadn't grown an inch. He noticed that Hinamori's hair grew longer and she visited less often, seemingly having a goal in her life now. He also noticed that "Granny" was getting skinnier. While out at the market one day a shopkeeper, whom he was buying items from, was treating him disdainfully. He then meets Rangiku Matsumoto, who yells at the shop keeper for being rude to Hitsugaya and reproached him for his poor customer skills. When Hitsugaya turns around, he is knocked down by bumping into Rangiku's bosom. She then yells at him for "lying there and crying about it and not standing up like a man", although it was she who had knocked him down in the first place. He then shakes her off and runs away. Later that night, he has a vivid dream of a gigantic, icy blue, serpentine dragon with large wings and an echoing voice. This dream is markedly different from the previous ones, where he had only experienced sensations but nothing substantial to what the meaning might be. This time, however, the reason behind the dreams not only materializes, but tries to tell him its name. Hitsugaya cannot hear him, however, as his voice is muffled by strong winds. He then wakes up in a cold sweat. Upon waking up, he sees Rangiku and is surprised to see her in his home. She immediately tells him to stop leaking his reiatsu everywhere and to get some sleep. She further explains that his grandmother looks pretty cold, which causes Hitsugaya to notice for the first time that the room is exceedingly cold and affecting his grandmother. Rangiku then tells him he should become a Shinigami, stating that kids with power as strong as his need to learn how to bring their power under control. She explains that if he stays the way he is, his power will end up killing his grandmother. At first, Hitsugaya isn't sure what she is talking about but she calmly places her hand on his chest and asks him if he hears a voice calling out to him. She explains to him that once he has found that voice, he'll understand how to control his power. She then notes that for that to happen he must become a Shinigami. Soon after, he tells his grandmother of his intentions of becoming a Shinigami. Much to Hitsugaya's surprise, she is happy for him. She tells him that she had always felt that he holds everything in because he didn't want to leave her, but doing so was only hurting him and in turn seeing him that way, hurt her. Hitsugaya then leaves to follow his own path with his grandmother's blessing. With Hitsugaya's natural talent, he quickly entered the Shinigami Academy and graduated early despite his age. Hinamori continued to call him "Shirō-chan" out of habit and felt she needed to protect him. Because of a promise she had made, she only began to call him "Hitsugaya-kun" after he had achieved his Zanpakutō's Shikai and was recognized as a Shinigami. Highly capable and knowledgeable, he quickly became the youngest of the captains within the Gotei 13 in the entire history of Soul Society. He is also a friend of Jidanbō Ikkanzaka, the West Gate Keeper, who taught him the "city rules."